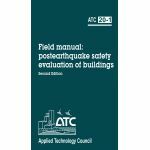 Minimum quantity for "Field Manual: Postearthquake Safety Evaluation of Building (2nd Edition)" is 1. 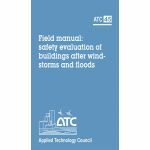 Minimum quantity for "Field Manual: Safety Evaluation of Buildings after Windstorms and Floods" is 1. Minimum quantity for "Procedures for Postearthquake Safety Evaluation of Buildings & Addendum" is 1. 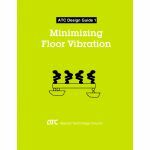 Minimum quantity for "Minimizing Floor Vibration" is 1. 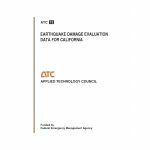 Minimum quantity for "Earthquake Damage Evaluation Data for California" is 1. 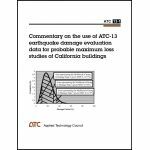 Minimum quantity for "Commentary on the Use of ATC-13 Earthquake Damage Evaluation Data for Probable Maximum Loss Studies of California Buildings" is 1. 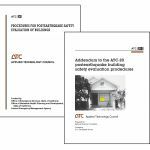 This report provides a methodology to evaluate the seismic safety of a large inventory of buildings quickly and inexpensively, with minimum access to the buildings, and determine those buildings that require a more detailed examination. 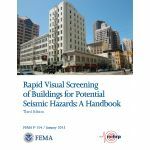 Minimum quantity for "FEMA P-154, Rapid Visual Screening of Buildings for Potential Seismic Hazards: A Handbook (Third Edition)" is 1. Minimum quantity for "Case Studies in Rapid Postearthquake Safety Evaluation of Buildings" is 1. 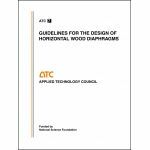 Minimum quantity for "Guidelines for the Design of Horizontal Wood Diaphragms" is 1. Minimum quantity for "Basic Wind Engineering for Low-Rise Buildings" is 1. 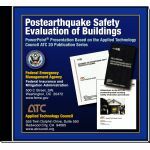 Minimum quantity for "Postearthquake Safety Evaluation of Buildings Training CD" is 1. 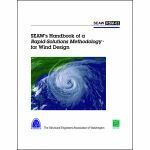 Minimum quantity for "SEAW's Handbook of a Rapid-Solutions Methodology for Wind Design" is 1.